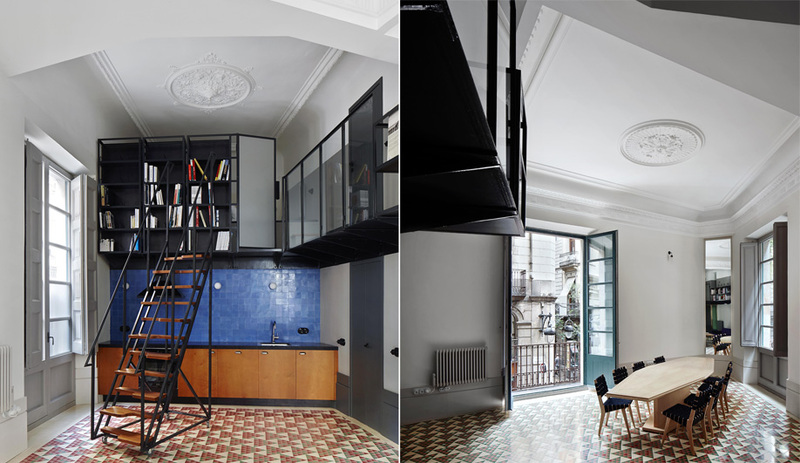 Carrer Avinyó apartment in Barcelona by David Kohn Architects won World Interior of the Year. 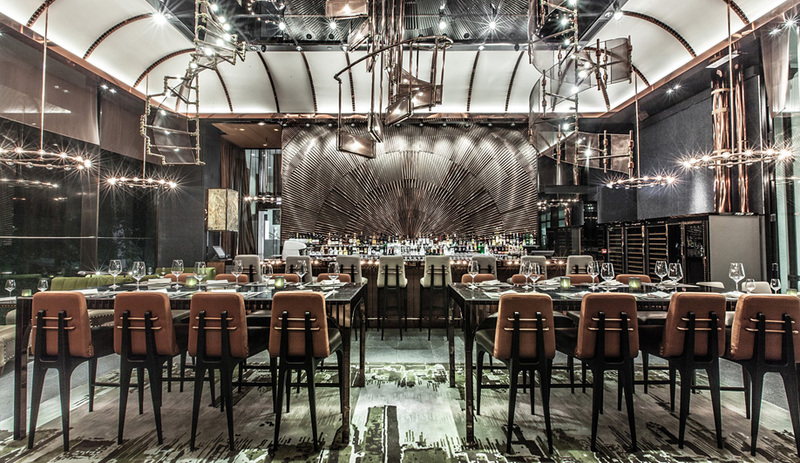 Ammo restaurant and bar in Hong Kong by Joyce Wang. 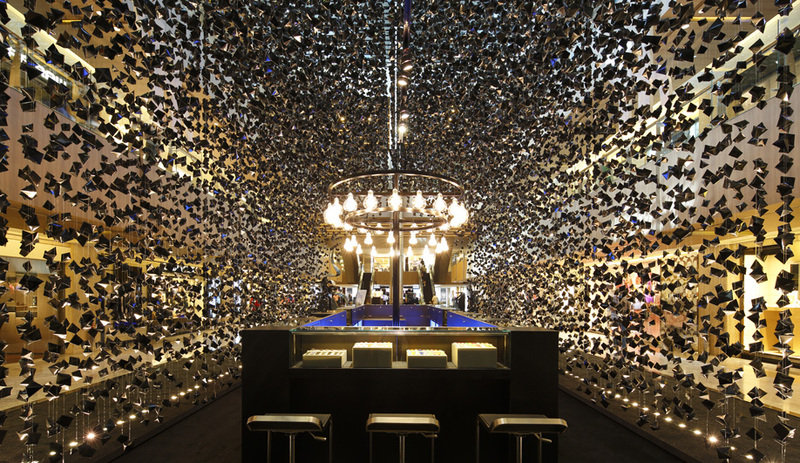 Asylum's pop-up shop in Singapore for Hublot, a luxury timepiece manufacturer. 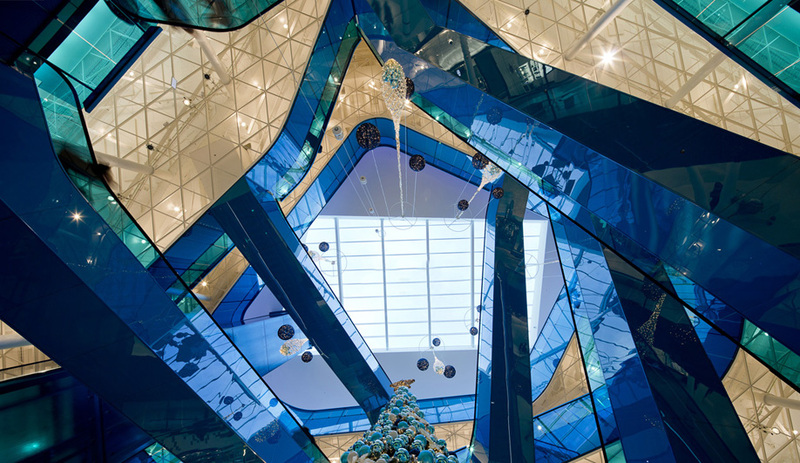 Gazing up inside Wingardh's space for the Emporia shopping centre in Sweden. 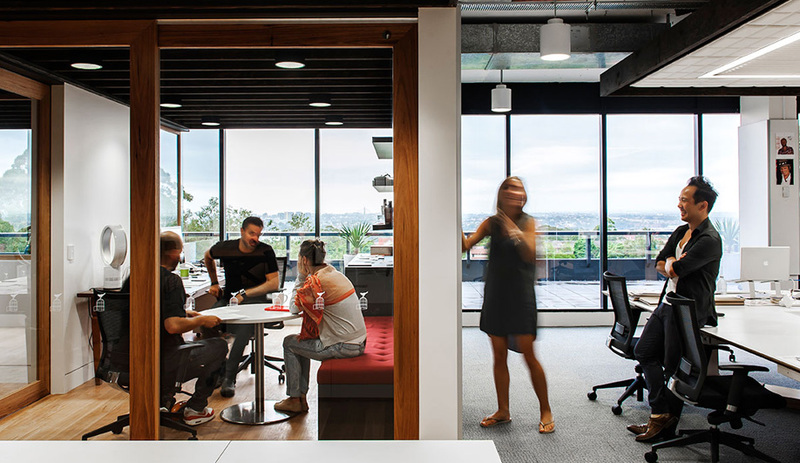 Hassell's workspace for advertising agency Clemenger BBDO in Sydney. 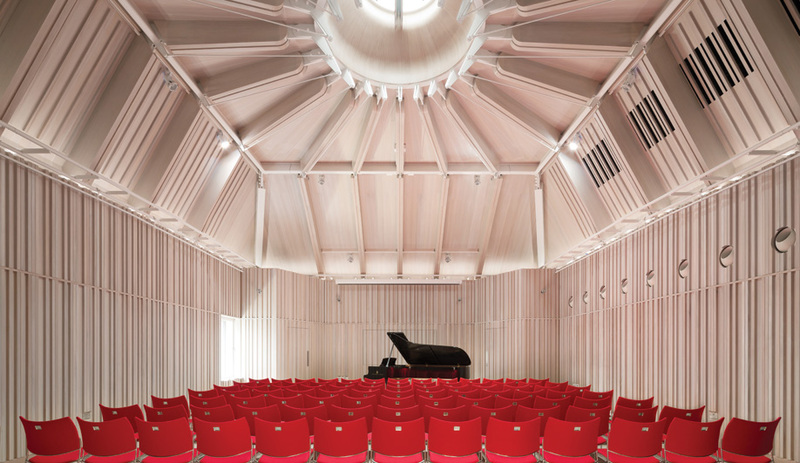 David Kohn Architects‘ dramatic overhaul of an apartment in Barcelona’s Gothic Quarter has won World Interior of the Year at Singapore’s interior design festival. 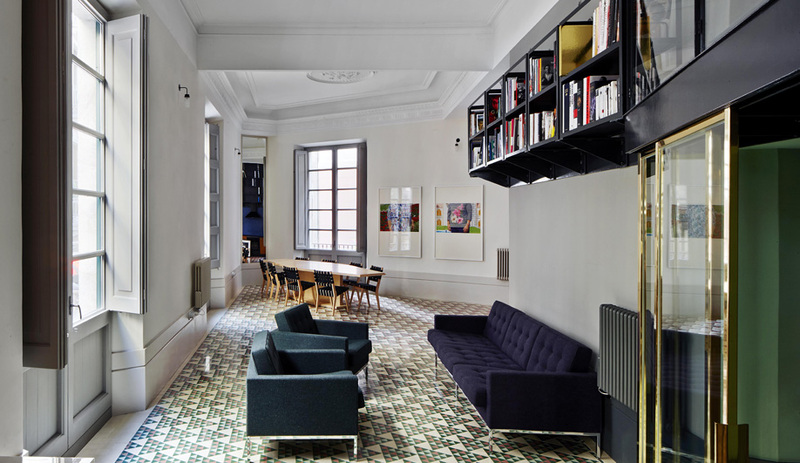 The London firm re-imagined the pie-shaped apartment, located in a low-rise residential building adjacent to Plaça George Orwell, as a holiday home for two jet-setting Barcelona-born brothers who split their time primarily between London and Hong Kong. 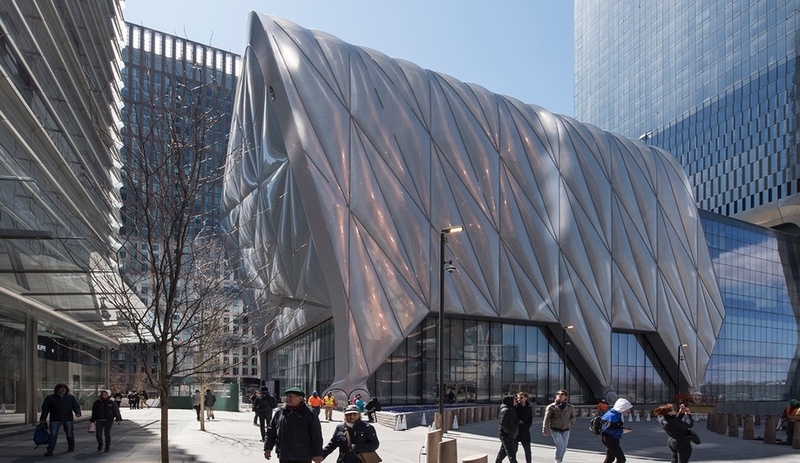 To create one large corner room with high ceilings and large windows, the firm knocked out all the walls. It also used a graded mosaic floor to differentiate between the brothers’ private spaces; inspired by the geometry of the floor plan, the pattern transitions from green to red, and consists of large triangles made up of smaller ones in 25 unique designs. 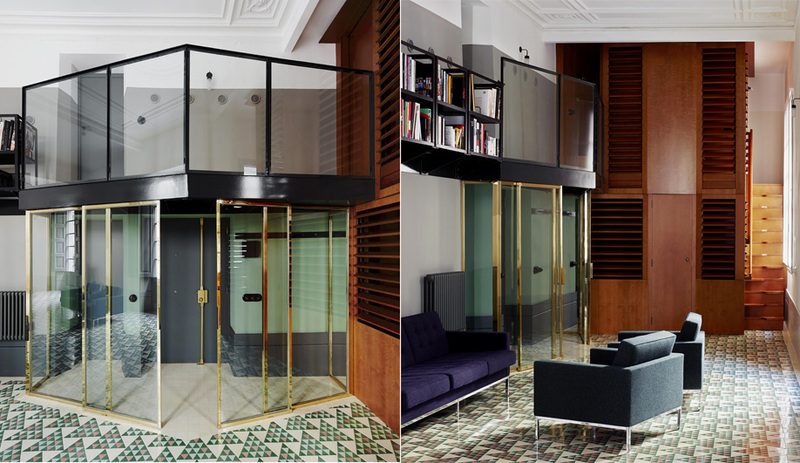 A second-storey library transforms into an interior balcony that connects each first-level bedroom to its bathroom. 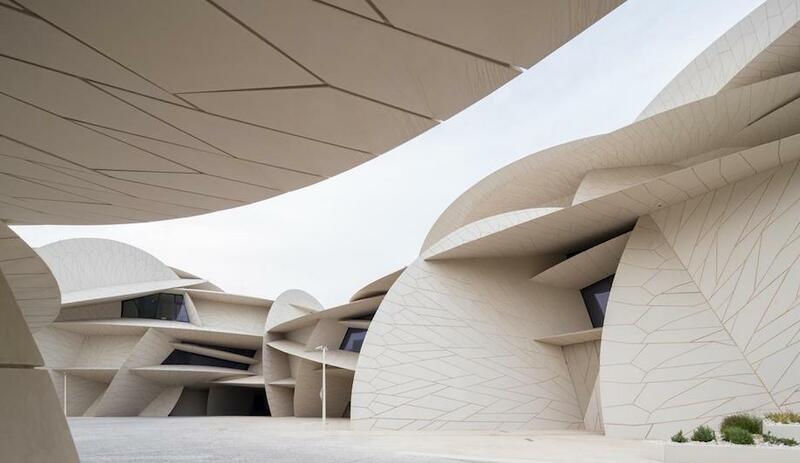 The jurors at Inside, the World Architecture Festival’s sister event that also took place in Singapore, included architect Odile Decq and designer Nigel Coates. They also honoured 11 other projects. These included: Joyce Wang‘s glitzy Ammo restaurant and bar in Hong Kong inspired by Jean-Luc Godard’s Alphaville; WOHA‘s lush Parkroyal on Pickering, a hotel in Singapore with contoured terraces; Khosla Associates‘ DPS kindergarten school in Bangalore, where primary colours enliven an otherwise austere concrete structure; Asylum‘s pop-up shop for Swiss watch brand Hublot inside a Singapore shopping centre; Wingardh Arkitektkontor‘s jewel-toned interior for the Emporia shopping mall in Malmo, Sweden; and Hassell’s flexible workspace for Clemenger BBDO’s Sydney headquarters. 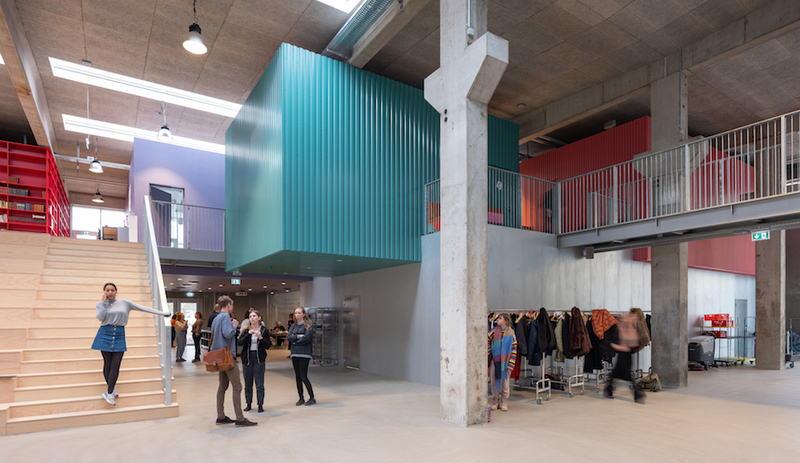 For all the winners, visit insidefestival.com.